GREENWICH — In March, pastry lovers will not have to go far to find the new location of DiMare Pastry Shop. The beloved bakery will remain in Riverside Commons, but the entrance will be just around on the side. The first change came Monday at the pastry shop, which has been an institution in town for 42 years, as the owners shut down the on-site kitchen in the back. They will continue to sells goodies from the storefront until the end of February, when the shop will move to that space in the back. “This is very exciting,” shop owner Sabrina DiMare said Monday morning. “Today is a bit of a tough day for me, and I’m a little emotional because it’s our last day working as we are now with all the ovens in the back. All weekend I was a little sad. 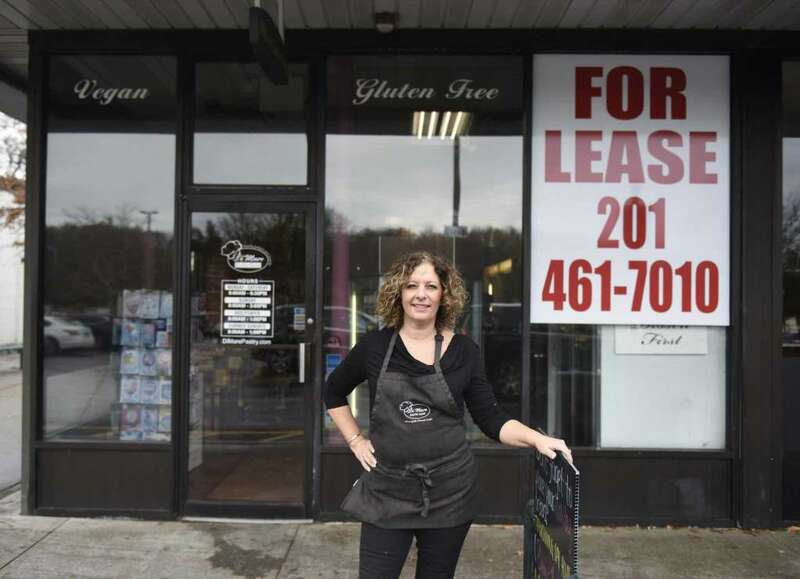 In November, customers were shocked to see a “FOR LEASE” sign in the shop window. And the owners announced they would be leaving their longtime location on the Post Road right off Exit 5 of Interstate 95. They also announced that all the baking would be moved to their Stamford location. But on Monday, DiMare said she was relieved to be staying at Riverside Commons. For customers, finding the new location will be easy. A new tenant, which has not yet been announced, will takeover the storefront. But there will be a new entrance along the side of the building, between the CVS and the current location. DiMare said the new location — just a stroll down the walkway — will be easily visible. Another advantage: the new shop will be fully ADA accessible. Parking is also available in the back of the commons. The new space will be a bit smaller — about 750 square feet — but DiMare said there’s enough space to serve the full menu, sell toys and gifts, and offer space for customers to sit and enjoy coffee and a pastry. The storefront must be ready for the new tenant on March 1. DiMare is hoping for a smooth transition into the new space, but the shop might be closed for a week during the move. As the work begins to transform the back kitchen into the new storefront, DiMare said everyone is excited about the new space with its new showcases. DiMare will continue to operate its location at 12 Largo Drive South in Stamford, where all the baking will now be done. The shop will still carry the same cakes, pastries, pies, cookies and other items, including the famous cannoli nachos. They will be brought to Riverside daily. Loyal customers, some of whom have been coming to the shop for decades, are excited that the shop will remain in Riverside. Stamford resident Melanie Early said the Riverside location is convenient for her and she’s happy to hear they’ll be staying.